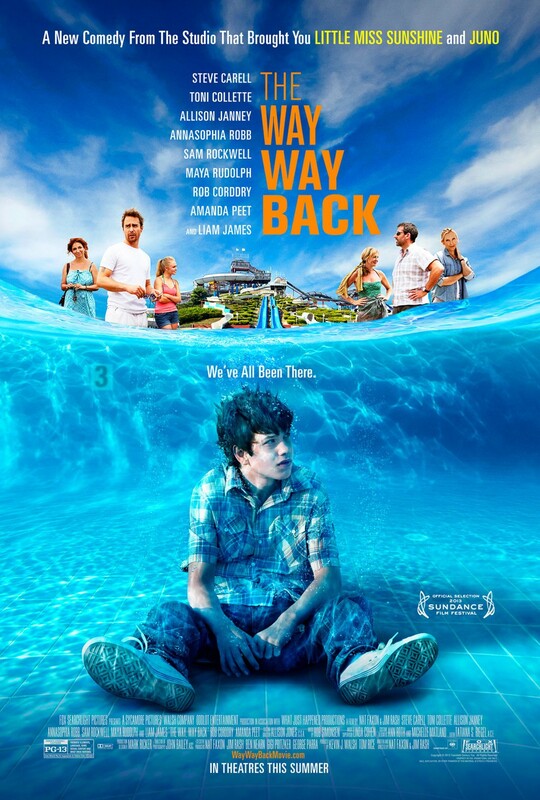 An awkward, self-conscious teen learns to embrace his individuality with the help of an unconventional mentor in Fox Searchlight's “The Way, Way Back,” a humorous and heartwarming story of self-discovery from Academy Award® winners Nat Faxon and Jim Rash (“The Descendants”). The longtime writing partners make their feature-film directing debut with an original script packed with heartfelt wit and echoes of summer vacations past and present. The critically acclaimed film stars Steve Carell, Toni Collette (“Little Miss Sunshine”), Allison Janney (“The Help”), AnnaSophia Robb (TV's “The Carrie Diaries”), Sam Rockwell (“Iron Man 2”), Maya Rudolph (“Bridesmaids”) and Liam James (“2012”), Amanda Peet (“Identity Thief”), Rob Corddry (“Warm Bodies”). 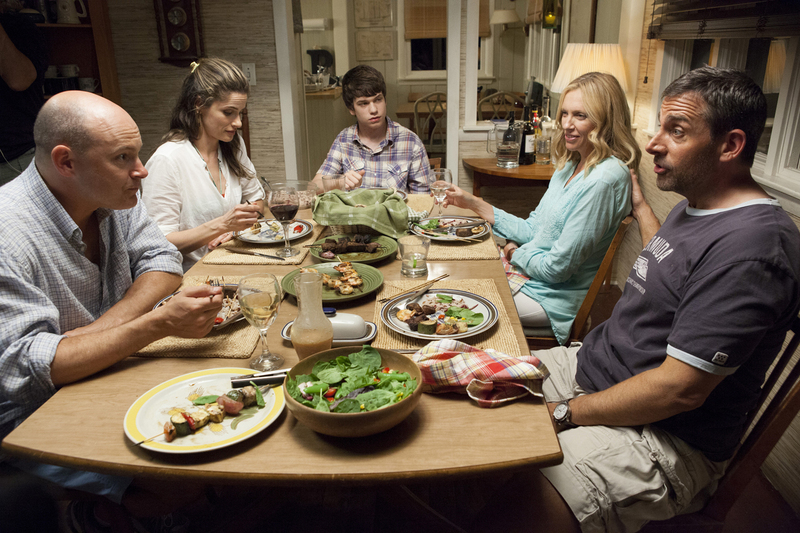 “The Way, Way Back” is the coming of age story of 14-year-old Duncan’s (James) summer vacation with his mother, Pam (Collette), her overbearing boyfriend, Trent (Carell), and his daughter, Steph (Zoe Levin). Having a rough time fitting in, the introverted Duncan finds an unexpected friend in Owen (Rockwell), the gregarious manager of the Water Wizz Water Park. Through his funny, clandestine friendship with Owen, Duncan slowly opens up to and begins to finally find his place in the world—all during a summer he will never forget. From a quintessential moment of teenage angst, Oscar® winning screenwriters Faxon and Rash have fashioned an original screenplay that captures the self-consciousness, uncertainty and hopefulness that make up adolescence. “The first scene defines the dynamic between Duncan and the people surrounding him,” observes Faxon. As the writing partners began to fill out the story of a young man trying to find his voice in a confusing new situation, they decided his journey should include a timeless venue of which they both have fond memories—an old fashioned water park, where their lead character finds sanctuary and independence during his transformative summer. The pair, along with Alexander Payne, won an adapted screenplay Oscar for the 2011 film “The Descendants,” directed by Payne and starring George Clooney. The recognition that followed was what gave them the opportunity to direct “The Way, Way Back,” a script they began working on almost a decade earlier. “Jim and I wanted to make a timeless, nostalgic movie that brings together humor and poignancy,” says Faxon. Opening across the Philippines this September, “The Way, Way Back” is distributed by 20thCentury Fox through Warner Bros.